When I was in high school and college, I loved getting dressed up and putting on makeup. Now I enjoy it even more. When I do wear makeup, I usually go with a barely there look, since that is what Drew likes most. 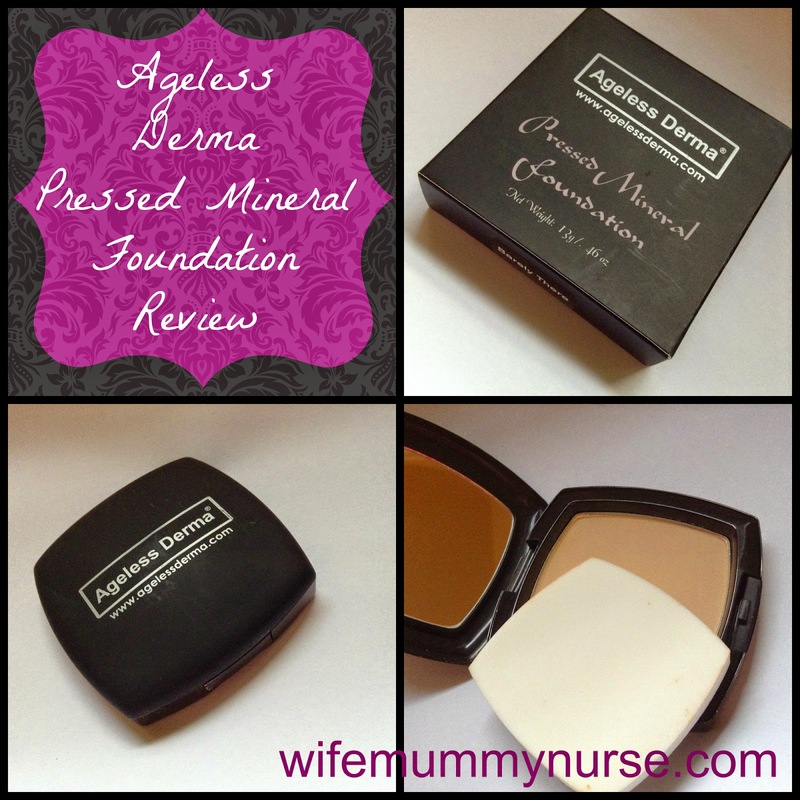 I was recently given the chance to review Ageless Derma's Natural Pressed Mineral Makeup Foundation. It is Paraben free, contains Vitamin A, E, and Green tea extracts, and has broad spectrum sun protection. Ageless Derma is cruelty free. My thoughts: I choose the "Barely There" shade and was pleased with how well it matched my skin tone. The coverage is light and sheer. I prefer using a brush, instead of the applicator sponge that came with it. The price is $45, so if one is on a tight budget, this foundation is not for them. The container is rubbery and collects dust easily; I prefer a smoother container. I love mineral makeup and have just recently tried a couple different mineral foundations, this one sounds good too!